Tags: antique gold, art deco, chandelier earrings, rhinestone earrings, statement earrings. 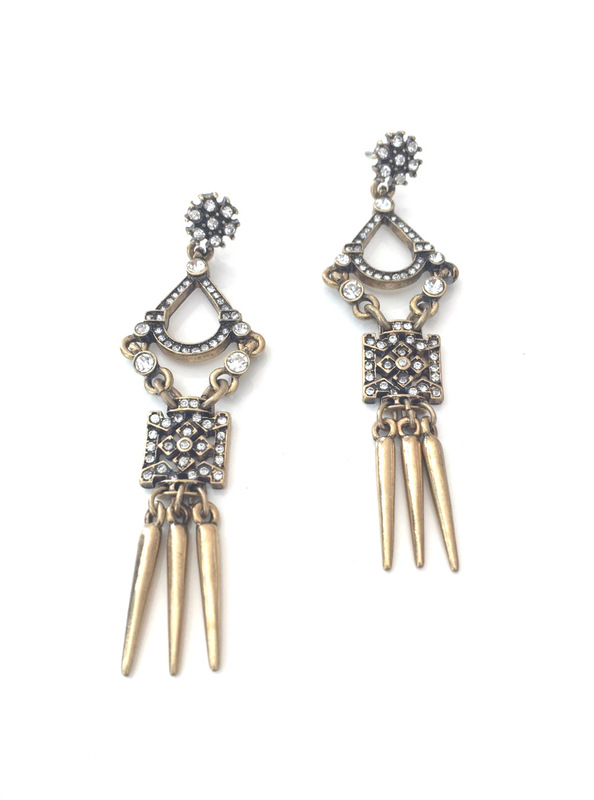 Our Art Deco Chandelier Earrings are bold and edgy, and most of all eye-catching as they swing from your lobes! Available in antique gold, adorned with rhinestones, and finished off with spiky fringe, these beauties add that extra bit of glam and drama to make that statement.